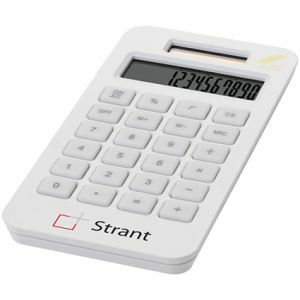 Even today, promotional calculators are still an office essential, especially in finance, sales, procurement, banking, accountancy, schools and colleges. 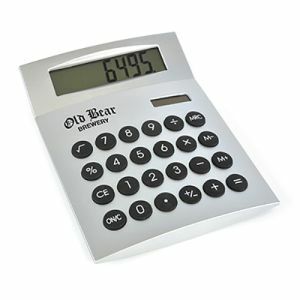 Sitting on desks when not in use, a calculator is a desktop advertisement for your business on a ‘must have’ item. And with 83% of recipients of printed merchandise saying they are ‘more likely to do business with the brand’ (PPAI survey 2017), it’s likely to provide a good return on your investment too. 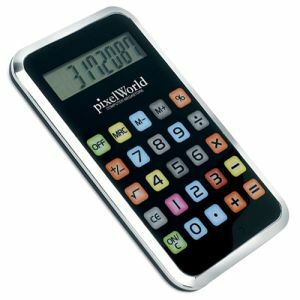 Customised pocket-sized calculators became readily available in the 1970s and have been a familiar sight in schools, shops and offices ever since. 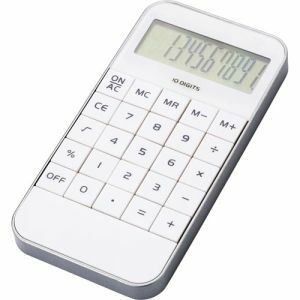 Calculators tend to become a ‘personal’ office item for anyone working regularly with figures and are relied upon to come up with the right answer. Having your brand associated with trust, reliability and efficiency means branded calculators hit all the right marketing buttons. 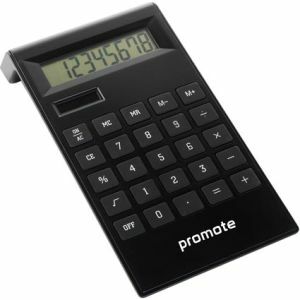 Many of our promotional calculators can be turned around in just 5 days, so there’s no need to wait around to make a good impression with your customers. 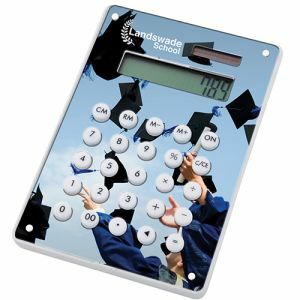 Have some fun or target a Millennial audience with a printed mobile phone shaped or smartphone style calculator; the modern designs should have everyone converting to the benefits of a desk calculator rather than relying on a temperamental phone app! Make a lasting impression with a full colour, full image calculator for maximum impact – great for reinforcing advertising campaigns, seasonal messages or high resolution brand images. 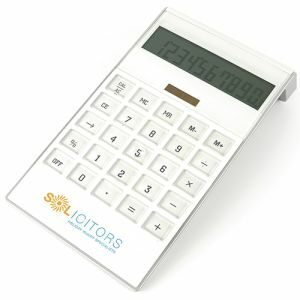 If a low environmental impact is at the core of your business, our eco range includes solar powered promotional calculators derived from corn starch; and available in both white and green, going green really does add up! 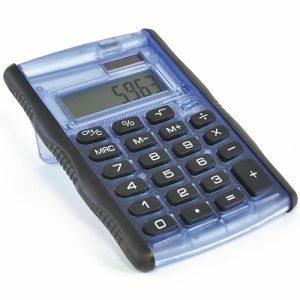 Prices for full colour printed promotional calculators start at just £1.72 each although you might pick up a bargain in our clearance section. To work out which is the right branded calculator for you, speak to the talented team at Total Merchandise.